Supported by the team of highly skilled professionals, we are considered as leading Manufacturer and Supplier of an exclusive array of Chilling System, FRP Cooling Tower, Storage Tank, Pressure Vessel, Heat Exchanger, FRP Cooling Plant, etc. 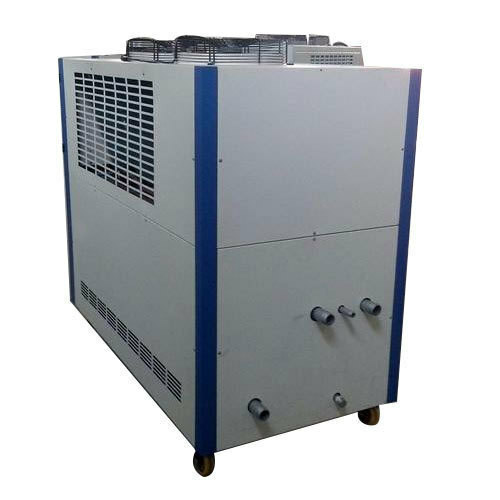 We are highly engaged in Manufacturing and Supplying an excellent quality assortment of Chilling System, Compressed Air System, FRP Cooling Tower, Injection Blow Molding Machine, Water Cooling System, etc. These products are manufactured using the high grade raw material by our professionals as per set quality standards. Our products are carefully verified on various quality parameters and are known for features like flawless finish, accurate dimension and optimum strength. Furthermore, our valued patrons can avail these products in various specifications from us at market competitive rates.